The 301 is a locking design. 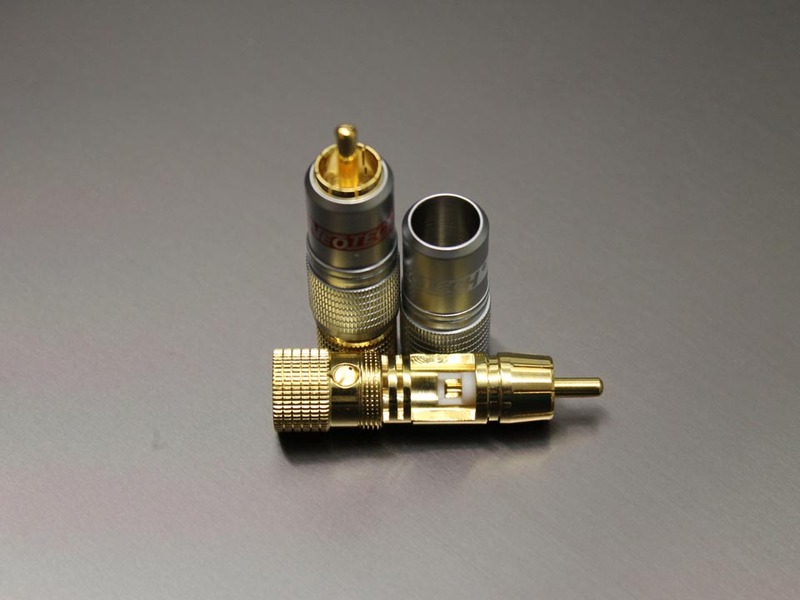 The center pin is made from high Copper content Copper alloy plated in Gold. Gold plated Brass return/body. The 301 will accommodate cables up to 8mm in diameter. Solder connection required. Sold as pictured, in pairs.